Web Development/Design, Custom E-Commerce, Managed Web Hosting. We came up with a design to blend in with what you would see on their menus and brochures while maintaining a look and feel for a high-end Spa. We worked to build a dynamic menu for their services that would have the option for the customer to request an appointment or purchase a gift card. As all of our websites, we design and build are mobile responsive giving users the best experience from any device. 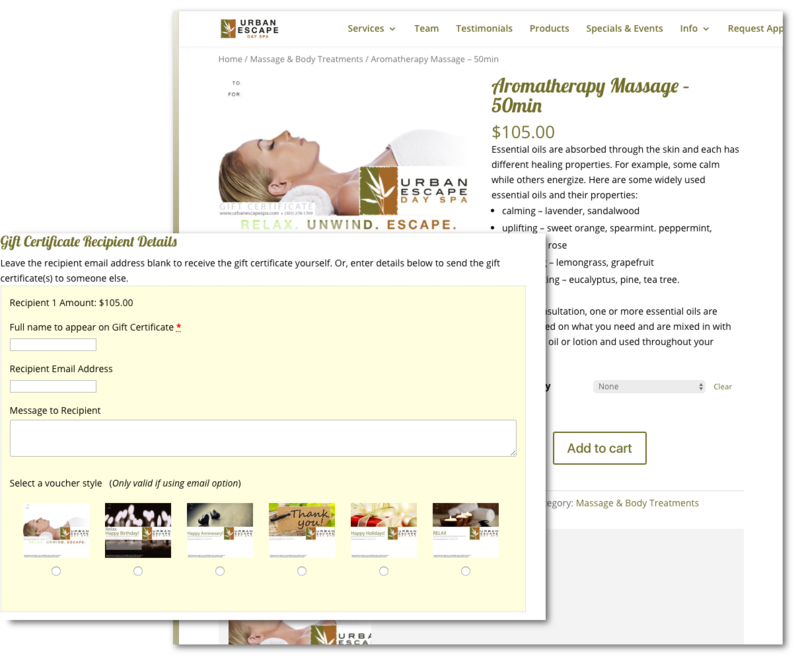 Urban Escape Spa in the past used a third party to sell their gift cards online. Sitting down and discussing how it worked we quickly realized that we could build a complete solution to allow them to sell their gift cards directly from their own website with no middle man. The old system would charge a monthly fee as well take a percentage of the sales. As selling gift cards online can be challenging rather than a physical product as these could either be picked up at the store, mailed or turned into a digital email with the card attached. 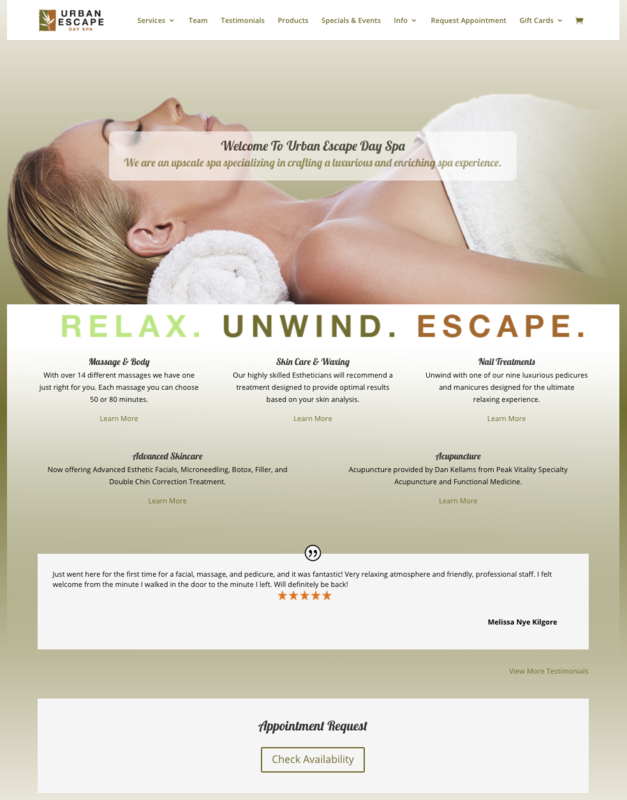 For this project, we were able to not only improve this new process in selling gift cards and spa packages but also created a much more elegant experience to the user. And yes, of course, they get to keep all their profit made from each sale that’s a win win. Browse through more of our featured work of our favorite clients. We love learning about our clients' businesses and seeing their growth is truly the most gratifying thing we can expect to see when we do what we do best.